Are you passionate about helping those who need it most? Do you want skills that could potentially save people's lives outside of the workplace? Or are you just interested in a career that provides flexible working hours? If you've said yes to any of these, a career in nursing could be the right choice for you. As a nurse you'll work alongside many other medical professionals within the healthcare unit, all with the same goal as yourself: to improve the health of others. Nursing is one of the most emotionally rewarding careers available. Making the choice to study nursing sets you on your first step toward improving people's quality of life. Not only do you have the opportunity to work closely with your patients, learning about each of their unique experiences and stories, but you are the one that they will thank dearly for assisting them back to full health. Some key skills for this course include critical thinking, adaptability, attention to detail and compassion. The Diploma of Nursing has been designed to give you the up-to-date skills and professional insight you need to develop a long lasting career safeguarding the health of others. This comprehensive course has strong practical focus and prepares graduates for work as a professional nurse. Study modes include classroom, online and simulated practical, plus facilitated clinical placements across Aged Care, Community and Acute nursing environments. There are plenty of courses available If you choose nursing as the career path for you. The Diploma of Nursing is the basic qualification for this industry. Over the course of eighteen months you can expect to learn how to assist vulnerable people back to recovery, develop health plans, and perhaps most importantly, build your communication and decision-making skills to gain confidence in taking charge when an emergency situation occurs. You will also undergo 400 hours worth of unpaid work experience to provide you with the required hands on skills. Once you've earnt your diploma you'll be eligible to become an enrolled nurse, but you'll also have the option to go straight into further study to become a registered nurse. A post-graduate course into registered nursing is another two years of study. One of the benefits about nursing is that you can specialise in whichever sector you like. If you love children, then paediatrics may be your area of choice. If you enjoy a fast-paced workplace, then the emergency ward may be for you. 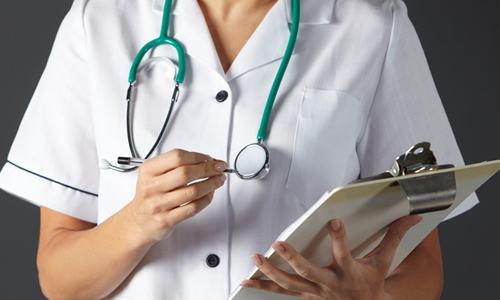 Unlike doctors, nurses don't need to undergo further study to undertake a new specialization. If you wish to move from the neonatal ward to the intensive care unit a simple orientation session with some hands on will allow you to change wards. Other similar careers include nursing assistant, aged care worker, and care worker. Fortunately, there will always be a steady demand for nurses so a career in this industry is very secure. Employment for this industry has risen within the past five years and is expected to grow strongly until at least 2019. There are currently approximately 231,500 nurses working in Australia. Enrolled nurses earn an average of $49,000 per year, while registered nurses can earn anywhere from $46,000 to $79,000 each year. Although the national average salary for a registered nurse is $61,000, this price can vary depending on the staff member's experience and skill set. A very experienced nurse will generally earn 20% more than an entry-level nurse. Time spent in the industry isn't the only thing that affects pay rates, though. If you've previously worked in the intensive care unit, case management or operating room sectors you could earn up to 6% more than someone who has worked as a nurse for the same amount of time.